The second ASUCR meeting of the quarter took place on Wednesday, April 10 and began at 6:36 p.m.
During the approval of the agenda, CHASS Senator Julian Gonzalez voted to add a judicial council amendment discussion to the agenda. The amendment which was discussed at last week’s ASUCR meeting would allow the senate to, with a two-thirds majority vote, hire a legal arbitrator to make a decision that can either override or confirm the judiciary’s decision on the case in question, with true finality. The motion to add the discussion to the agenda passed 9-0-0. The meeting then moved on to the approval of last week’s meeting minutes which prompted CHASS Senator Chelsea Davenport to point out that the minutes could not be approved because a vote was recorded incorrectly. Davenport noted that at the meeting that took place on April 3, a vote that took place regarding the Basic Needs Referendum was recorded as passing 11-0-0 but actually passed 11-1-1. Fuentes stated that the Senate would be able to look to the advisor, who should have experience in legal studies or any sort of legal jurisdiction, to make Judicial Council rescind a decision if they feel as if the council was not interpreting the constitution correctly. Fuentes’ proposal would look to hire a full-time or part-time UCR professor who has experience in legal studies. However, Fuentes stated that the advisor chosen would be acting as a volunteer and it would not be a paid position. Al-Alami addressed the senate and stated that for the sake of transparency, it would be best if going forward the Senate could be more transparent about votes and amendment items. 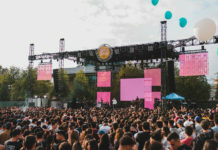 He believes that this would really help “foster more trust between our student government and the students.” In response, Executive Vice President Andrea Cuevas noted that Wednesdays are the only days that ASUCR is permitted to send out a mass email to students. According to the ASUCR bylaws, Chapter 20 of the Senate Accessibility and Transparency Act states that ASUCR Wednesday tabling should be conducted every Wednesday at noon during the regular academic sessions. It also states that each senator is required to participate in tabling at least once per quarter. A minimum of two senators are supposed to staff the table from 12:00 p.m. to 1:00 p.m., which includes setting up and putting away the table. During committee reports, Julian Gonzalez informed the senate that as of Monday, April 8, the author of the judicial amendment no longer wishes to have the amendment considered. He then went on to state the author is striking the amendment and that this means that the amendment will not go through. 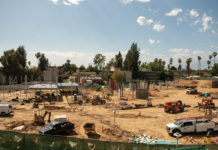 Gonzalez stated that the author apologized for not having the proper communication with judicial council about the amendment and hopes to see that future leaders of ASUCR are more transparent about making such large decisions. In an interview with the Highlander, CHASS Senator Chelsea Davenport stated that she did not support this amendment because, “It would essentially give the executive branch the power to overrule anything that the judicial branch says that they didn’t agree with… which is not how a three branch government works.” Davenport also stated that a balance of powers is a concern for multi branch governments, and Davenport believes that the judicial branch’s power can be checked in two ways. It can first be checked, according to Davenport because justices are nominated by the president and can only preside in the judiciary if confirmed by the senate. She also believes justices can be checked because they can be removed. 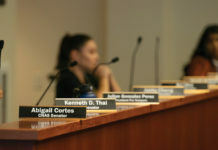 In response to Cortes’ statements, CHASS Senator Mehvish Ali stated, “Respectfully, it is to my understanding that as per Robert’s Rules of Order, you can invite anyone to a closed session meeting if you have a reason to,” to which Cortes replied that a reason was not given at the meeting. Ali then stated, “The reason does not have to be disclosed.” Ali then invited the newly elected Parliamentarian Stephanie Michel to review the rule in Robert’s Rules of Order but Cuevas noted that Michel was never issued a book of Robert’s Rules of Order, which Davenport voiced her concerns over.